i'm into astronomy,the other night i was trying a new camcorder hoping eventually to take a movie of comet ison,so i went out to try it on the stars but there weren't any,there was only a plane that flew over my field of view,it didn't last long ,the whole thing maybe a half a minute,towards the end i remember saying to myself"whats that"? 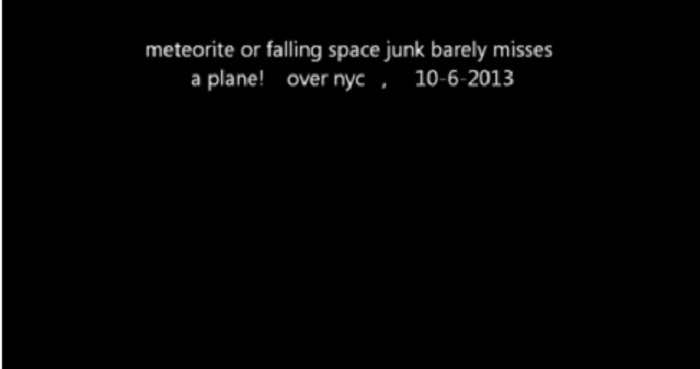 it looked like a meteorite that appears to just miss the plane,in reality it may have been way off ,or not.judge by yourself. Meteor mit Pfeil markiert, Jet in Bildmitte.